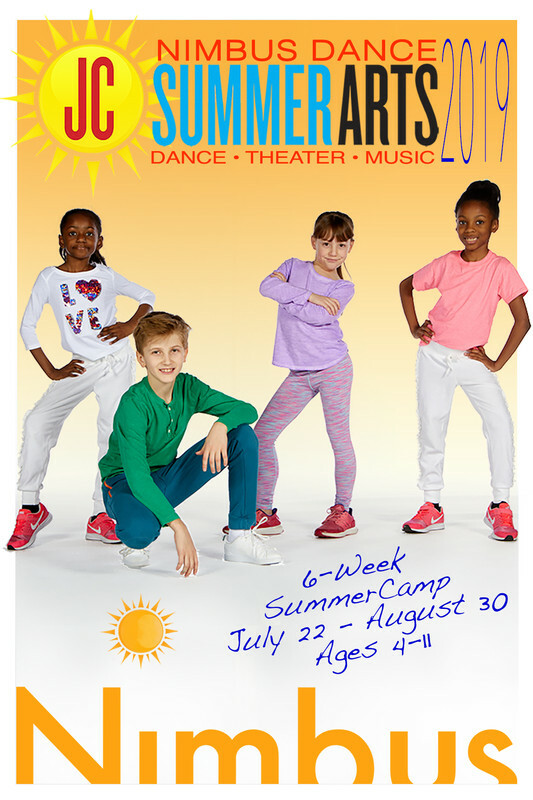 Board index » Jersey City, NJ » Art & Entertainment » Nimbus Announces 2019 Youth Summer Programs! Final Day for Early Bird Discount Pricing for JC SummerArts and Nimbus Summer Teen Intensive! Save $100 per Camp Week! Deadline for early bird pricing ends 4/20. Save $100 per week if you register now! In 6 individually themed weeks, students receive classes in dance, theater, music, and fine arts, ending in a weekly performance for family and friends. 2 weeks of intensive study with classes taught by Nimbus company dancers. Teen dancers focus on technique, performance skills, repertory, and dancer wellness. The intensive culminates with a public performance alongside Nimbus’ professional company at the Owen Grundy Pier, sponsored by the Jersey City Office of Cultural Affairs.